Pennhurst is the epicenter of the human rights movement for persons with intellectual and developmental disabilities. More than ten thousand people were confined to this institution. Their struggle closed Pennhurst and established basic rights to live in and be educated as part of free society. 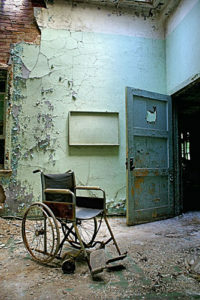 Pennhurst’s precedent remains a beacon of hope for persons with disabilities across the world. The Pennhurst Memorial and Preservation Alliance seeks to use this important place of memory to honor and advance the victory secured at Pennhurst.